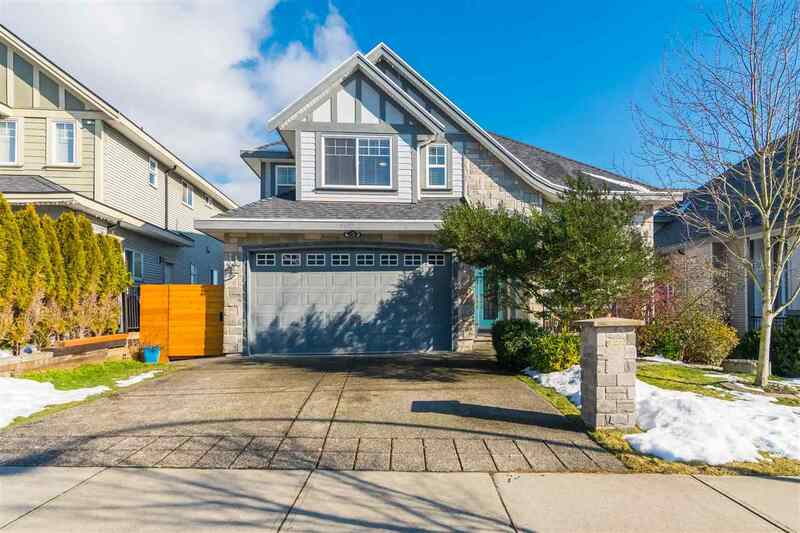 Please visit our Open House at 21555 47B AVE in Langley. Classic home just oozing with curb appeal and that WOW factor! Tucked away in prestigious Macklin Corners area, the attraction will be immediate. The open floorplan everyone is looking for in an established neighbourhood. Warm hardwood flooring, large living/dining areas for formal entertaining. Spectacular kitchen with s/s appliances and open to the spacious family room and there's another bonus flex room adjoining for your needs - playroom/games/bedroom? Den/office on the main. Enormous master bedroom with luxury ensuite & closet. Private b/y with deck and lots of green space. Central A/C, new paint/new carpets - a definite one of kind home not to be missed!